At Clearview Veterinary Hospital, we know that your dog isn’t just an animal — they’re a valued member of the family. You love coming home to their wagging tail every evening, and they’re always there to greet you in the morning. 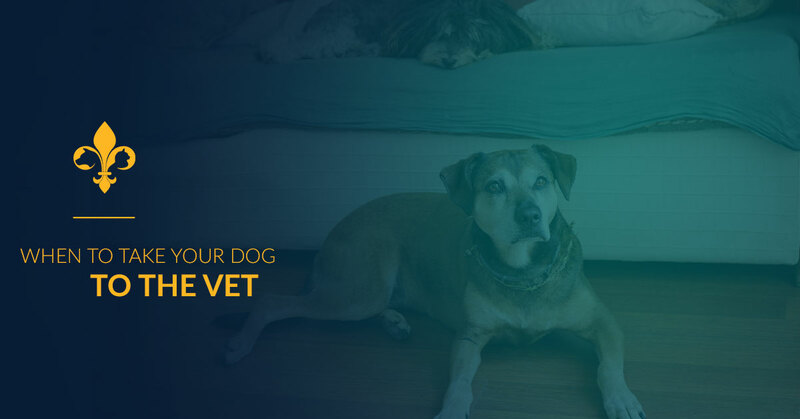 Unfortunately, they can’t directly let you know if something is wrong or if they’re not feeling well, which makes it important to watch your dog closely for troubling symptoms. In today’s entry, we’ll provide you with a quick guide that can help you determine if you need to take your dog to our animal hospital. When you’ve finished reading today’s entry, get in touch with our Metairie animal hospital to schedule an appointment for your pet. We would love to help your furry friend stay as healthy as possible for years to come! If your dog is anything like most of the pups we treat, then meals are the most exciting parts of the day. It’s not completely out of the ordinary for a dog to turn their nose up at food, especially if we’re in the midst of a Louisiana heatwave. However, if your dog refuses to eat for more than two days, then you should schedule an appointment with our animal hospital for an evaluation. As a pet owner, you probably know how much water your dog drinks every day. You probably refill the bowl at roughly the same time each day, and you probably know how much water your dog laps up whenever they stop for a drink. If you notice that your dog is drinking more water than usual without any accompanying changes in your routine, then you should schedule an appointment as soon as possible. Increased water consumption and urination are signs of kidney disease and diabetes, which both need to be addressed immediately to protect your dog’s well-being. Is your dog uninterested in playing with toys, going for walks, or sleeping more than normal? 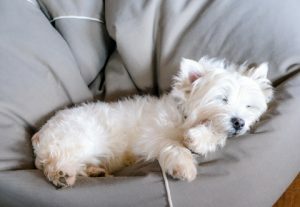 It’s not completely unusual for dogs to be tired due to the heat, especially during the summer months, but out-of-the-ordinary bouts of lethargy should always be evaluated by an experienced local vet. Even if your pup is simply bored or tuckered out from playing hard the day before, it’s always better to err on the side of caution and take them in for a checkup. We’ll do everything we can to ensure that they’re back to their lively self as soon as possible! Contrary to what most dog owners believe, vomiting isn’t all that unusual. Dogs have sensitive digestive systems, and vomiting is their natural way of getting rid of something that’s upsetting their stomach. That being said, if your dog is throwing up throughout the day, or if they vomit blood, then you should take them to the vet immediately. They may have swallowed something when you weren’t looking, or they may have a condition that requires a short round of medication. Weight loss is always a concerning symptom, even if your dog is on the heavier side. There are many different causes of sudden weight loss, and it’s difficult to pinpoint any one cause without diagnostic tests. We’ll perform a variety of tests that allow us to pinpoint the cause of your dog’s weight loss and provide them with a comprehensive treatment plan. Contact Our Veterinarians in Metairie Today! We hope that today’s post will help you determine if your dog needs to see one of our veterinarians. We plan to continue exploring this topic in future posts, so keep an eye on our blog page in the coming weeks and months. 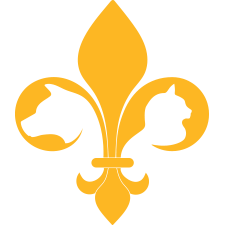 Clearview Veterinary Hospital is proud to be Metairie’s Top Rated Local® animal hospital. We provide comprehensive and compassionate medical care, and your pet’s well-being is always our top priority. We also offer cat and dog boarding that can give you the peace of mind that you deserve while you’re on vacation. Learn more about our pet boarding services here! Get in touch with our office by filling out the form below, or by giving our office a call. We look forward to providing your furry friend with the possible care!